On Jan. 11, Verizon announced that the iPhone was going to be part of their phone selection in February. Many have known this was coming but some were just as surprised. 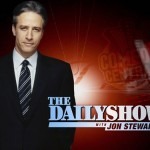 John Stewart from The Daily Show decided to give his take on Verizon iPhone Announcement on that night’s show. His biggest point with the announcement was the issue of dropped calls on AT&T’s network. Will Verizon’s network really fix the dropped call issue or could it be an actual issue with the iPhone? Only time will tell now!